Have you ever wondered, “What is the importance of physical education?” Why is it studied in schools? How can it make a difference in students’ lives? Well, here’s the answer. 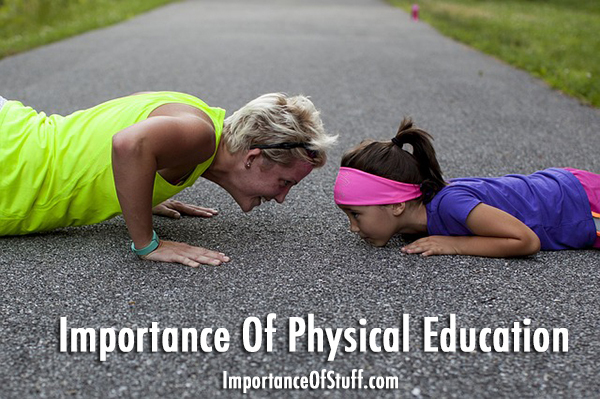 After reading this essay, you will get a clear idea of why physical education is important. A child of any gender, age, ethnicity, or race should be physically active, not only mentally. Did you know that, according to the National Association of Sports and Physical Education, a student must at least spend a hundred and fifty minutes weekly in physical education? But why physical education is important? In this essay (speech), we’ll emphasize the importance of physical education. An important element of a healthy lifestyle is physical fitness. Physical Education promotes physical activity, which develop students’ muscles, increase stamina, and even increases the immune system, keeping them happy, energized and in good health all the time. Sportsmanship is not only for sports, but also for life. Playing individual, dual, or even team sports will develop a sound sportsmanship. One of the main objectives of physical education is to cultivate the students’ ideas of fairness, respect, ethics, and fellowship with the competitor. Good sportsmanship not only makes champions in sports, but also champions in life. Another benefit of physical education is that it develops student’s confidence, especially when one is engaging with sports. When students are victorious on a field game, the victory gives them a boost in confidence. Engaging in competition and performing skills cultivates self confidence, and self confidence is a very important element in developing a youth’s character and personality. Studies show that people who have engaged in physical activities as youngsters are more likely to lead a healthier lifestyle later in their life as adults. Children who learn about health early in their age carries the knowledge as they grow older, hence they become adults who are aware of their physical condition and health. Research proves that physical fitness activities promote neuron activity, which is much needed for cognitive activities. Also, physical activities encourage oxygen and blood circulation to the brains. A well rounded physical education class can also help thinking in academic classes, and this is why P.E. is much needed in the curriculum. As we can see, physical education is really essential for the students. They get to know about the importance of staying healthy. Do share your opinion and thoughts on this topic in the comment section below.